On Saturday, August 16, from noon to 10 p.m., a pound of hand-crafted chocolates will be given away every hour with one lucky grand prize winner walking away with a one pound box of chocolates every month for an entire year! Mike and Jeff will perform live music on the brand new patio from 6 - 9 p.m. During the day there will be a magician and other family-friendly entertainment. The family-run business can trace its origins back to 1939 and another local candy icon. 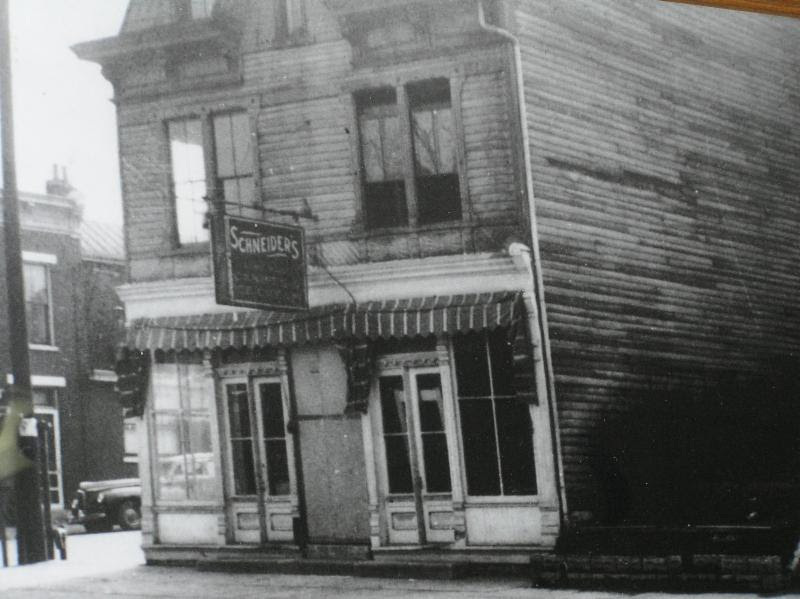 The business at 420 Fairfield Avenue was handed down to Jack Schneider by his father, Robert Schneider, Sr.
Seventy-five years ago, Lily's Candies, after three months of operation at the location, offered the business to Jack Schneider's grandpa Edward who purchased the business for his seven children. The operation couldn't support all the kids and their families so Jack's dad, Robert, Sr., became the owner operator and even raised his family above the store. 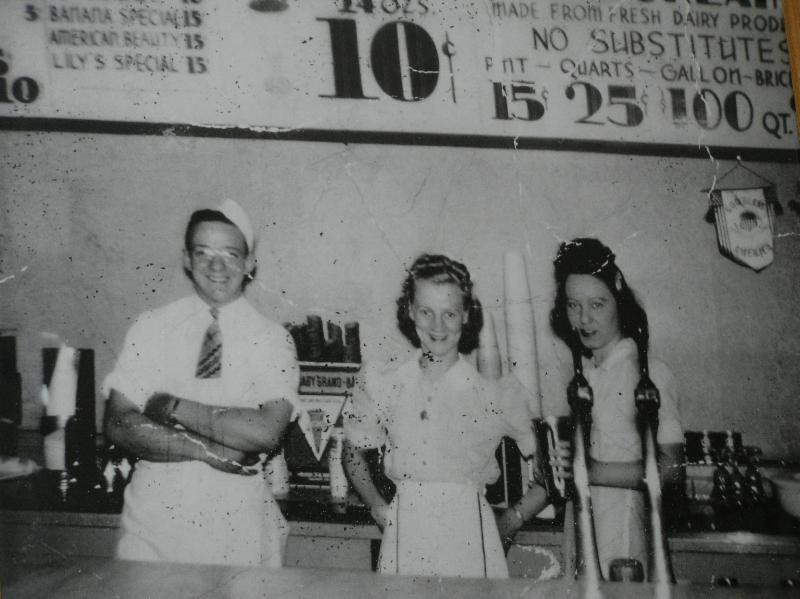 Back then Robert made all the candy in a two-car garage behind the store in the Bellevue until he outgrew that location and added the first expansion to their store in 1954. Jack began working in the store for his dad when he was 13. In 1975 he married his high school sweetheart, Kathy. They had to marry in April so Kathy could have her spring wedding while not interfering with the Easter and Mother's Day rushes. As Jack says about owning a small business, "It is not just a job; it's a lifestyle." Jack always had his hands in the business, but for ten years he worked for Cincinnati Milicron. When his dad decided to retire in 1986 Jack couldn't imagine Schneider's closing and he wanted to keep the family tradition alive. The business is truly a family operation with his wife Kathy working side-by-side and when their three daughters Carrie, Kelly, and Christy turned 13 they, too, became involved with the business. "Jack's mom and dad are looking down on him from heaven saying, 'we are so proud of him,'" said Kathy Schneider. Soon, a tribute to Jack's parents Robert Sr. and Lil in the form of two small murals created by Jack's sister, Kim will be unveiled. 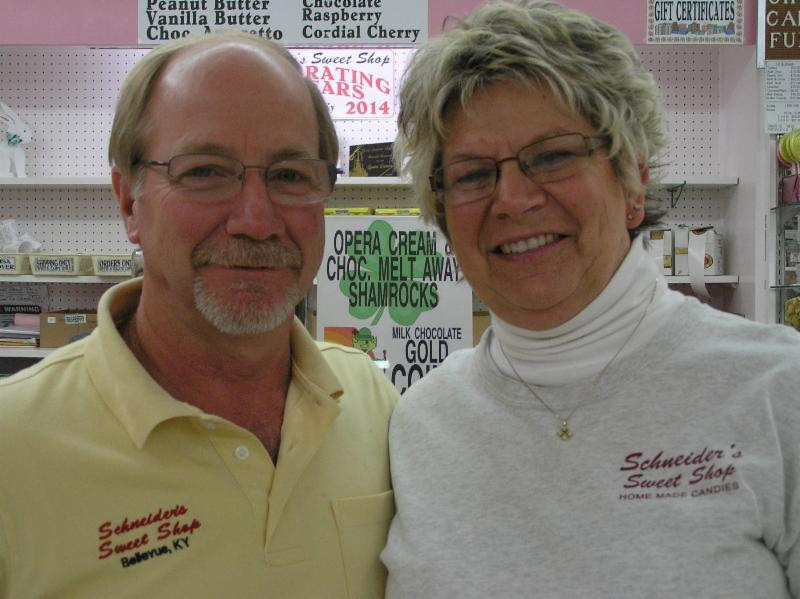 The Schneider's are committed to using the finest, freshest and purest ingredients for the wide assortments of chocolates, caramels, fudges, ice cream, and more just as Jack's dad, the "Original Candy Man" did. The time- and taste-proven methods and recipes haven't changed, but additions have been made like adding 21 flavors of ice cream over the original eight flavors. 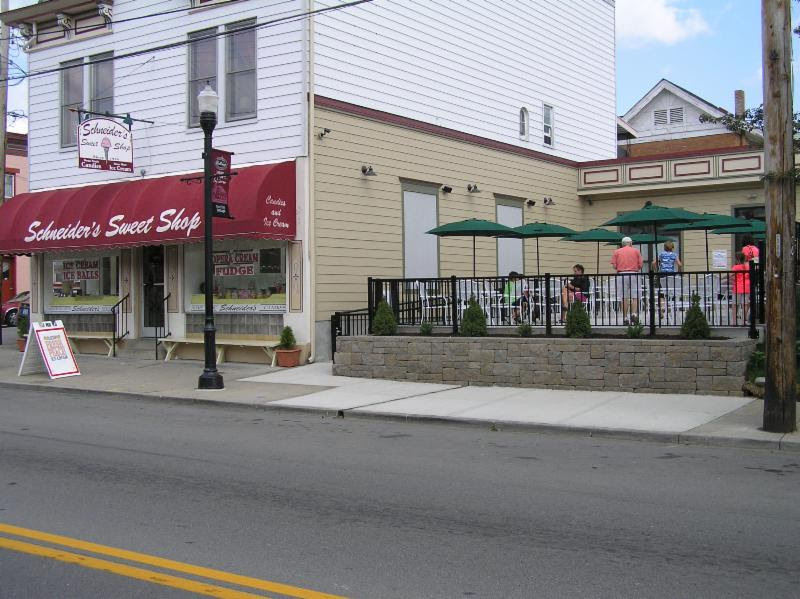 Perhaps Schneider's is best known for their opera cream candies, but everyone has their favorite treats like the seasonal ice balls made with their specially ground ice and customers creating their own combinations with ice cream and home-made syrup flavors or anxiously wait for the transition to Schneider's award-winning caramel apples in the fall or peanut brittle at Christmas. Schneider's announced its expansion plans last summer and then razed a neighboring building to make way for a new patio. You can follow Schneider's on Facebook here. Dad was 18 and mom was 17. Schneider's August 2014 with the new patio and manufacturing addition.